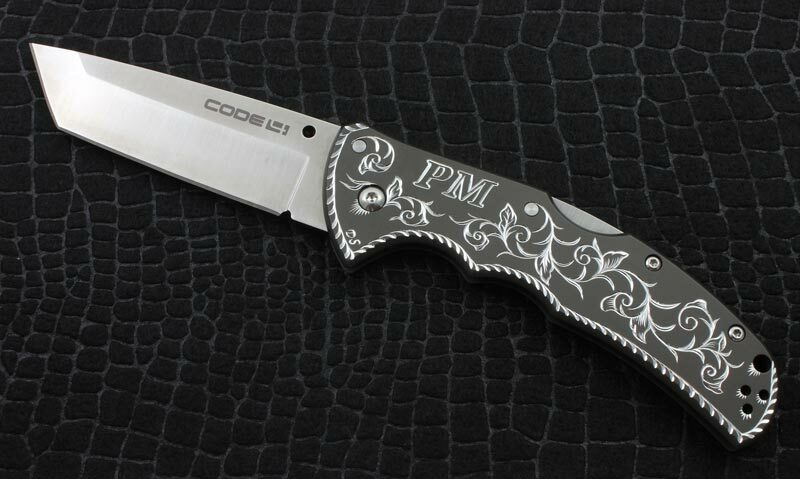 Available in a variety of blade configurations, the Code 4 series feature sturdy, 6061 Aluminum handles and high satin polished, razor sharp Japanese AUS8A blades. 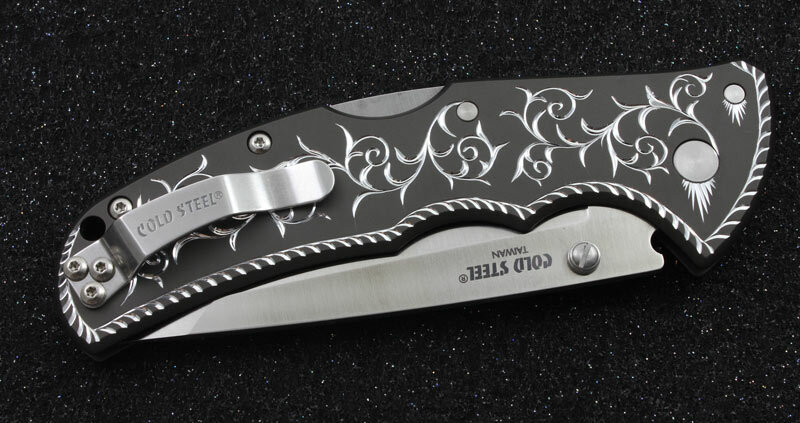 This knife is light, strong and makes a great every day carry. 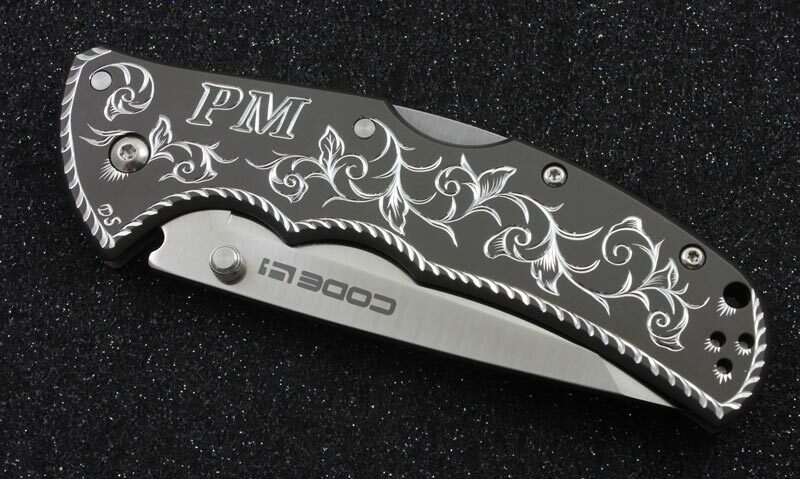 Engraving: The hand engraving on each knife is carefully executed by David under a microscope using a variety of designs which make each knife a unique, one-of-a-kind treasure. 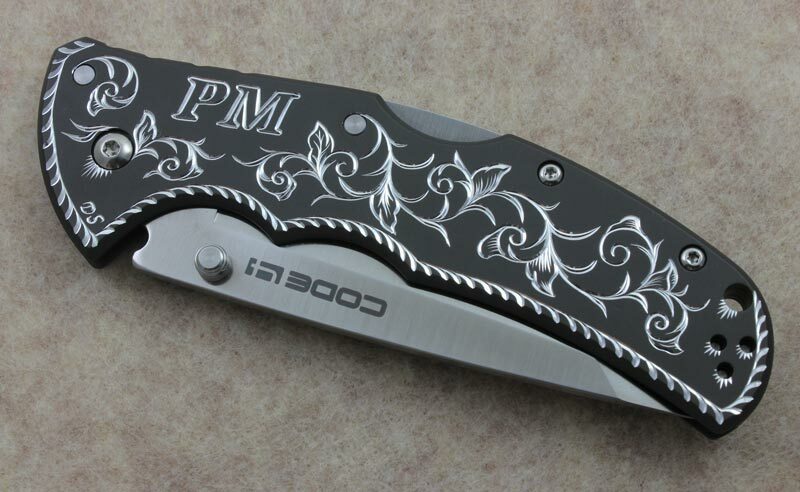 A custom hand engraved knife such as this can provide you, a friend or a loved one, a lifetime of enjoyment.